Christmas is getting nearer and nearer. My December calendar is slowly filling up, holiday get-togethers are left and right. 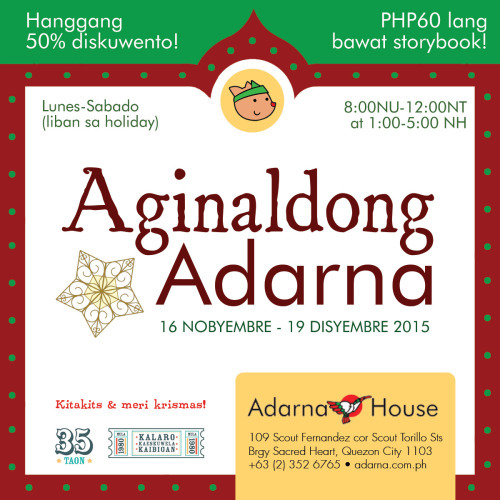 You can feel the Christmas rush with the traffic and that feeling when you're not done with your shopping yet. Eeeppp! 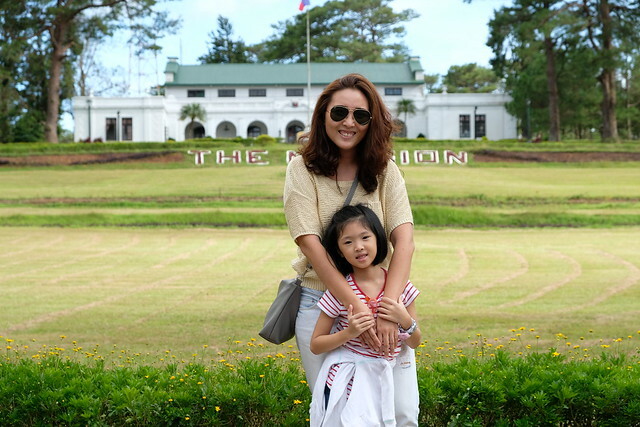 But don't fret, here's a shopping guide for you this weekend! 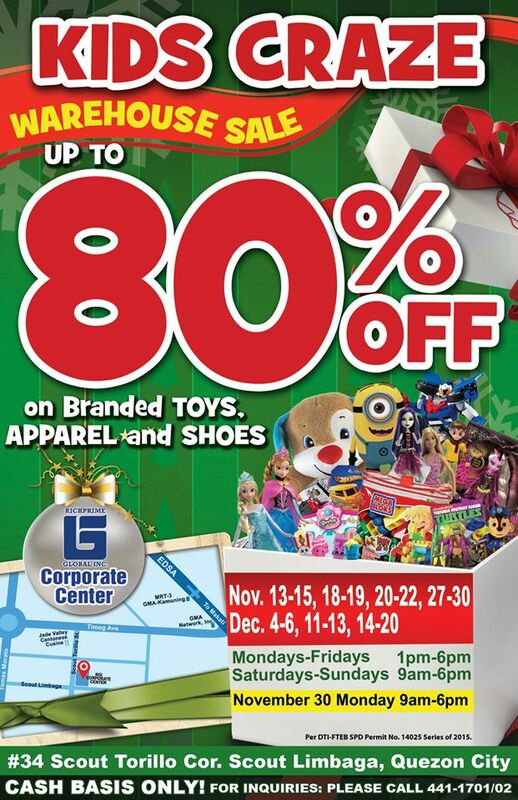 Shop at the Kids Craze Warehouse Sale, only two weekends left! I went here three times and all of those times I didn't went home empty handed haha! I shopped for all my nieces, nephews and inaanaks here. Hot Wheels, Shopkins, Barbie, Fisher Price and more at really really good price! 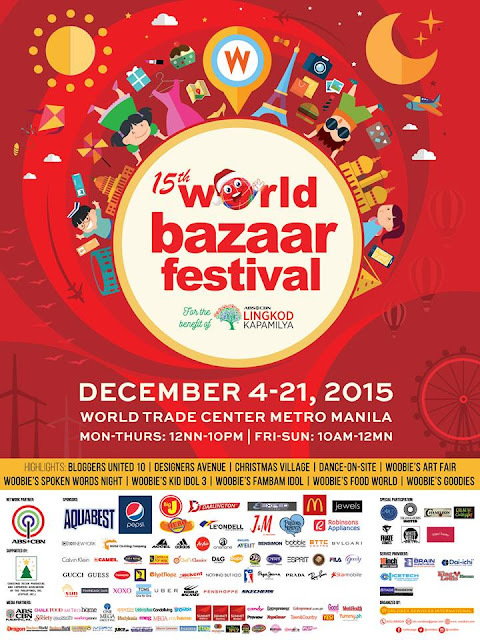 The famous World Bazaar Festival started last weekend! It's been two years since we last joined this. Not missing being a bazarista but I like going to World Bazaar even if I know where they came from. Heehee! 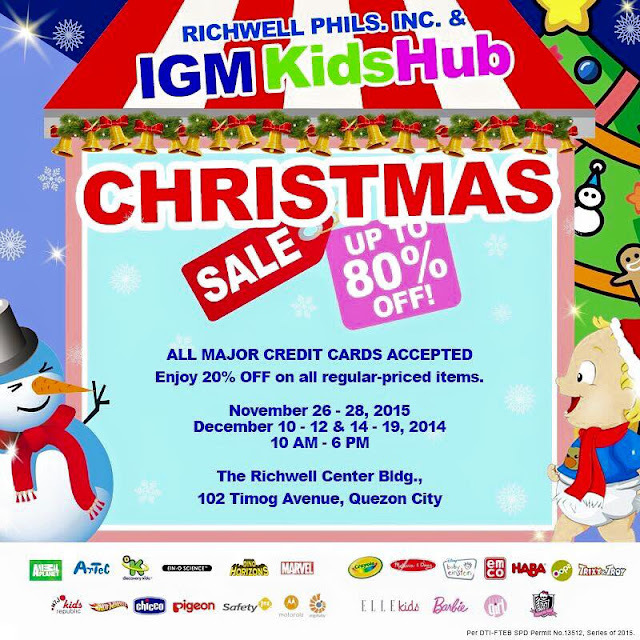 Richwell Philippines which distributes Melissa and Doug, Crayola, Pigeon, Chicco and more is also having its Warehouse Sale! 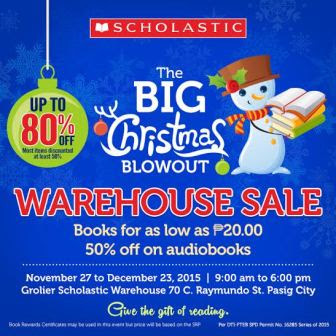 For your little bookworms, Scholastic and Adarna House are also having their Warehouse Sale for as low as Php20 at Scholastic and Php60 at Adarna House! 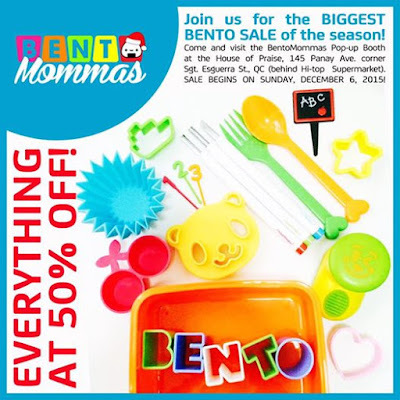 For Bento Fanatics, Bento Mommas is having their Biggest Season Sale with everything at 50% off! Ready, set, go! 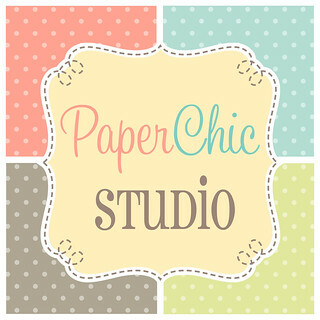 Happy Shopping Mommas!